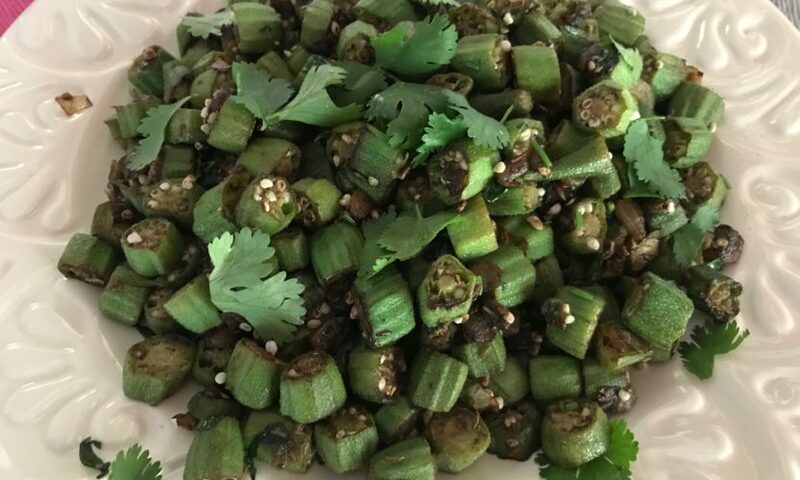 As promised, here is one last summer recipe – roasted okra. That’s about all we’re growing here in our organic garden that we can make a substantial side dish out of at this point in the season. 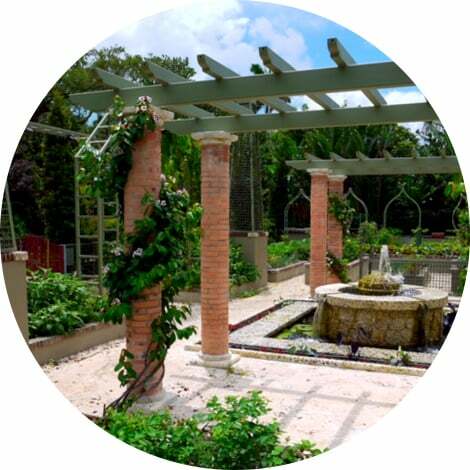 Not to feel hopeless after all our South Florida weather events this past month, we are about ready for some serious fall planting over the next several weeks! Okra & Tomato Stew – Sublime, No Slime! 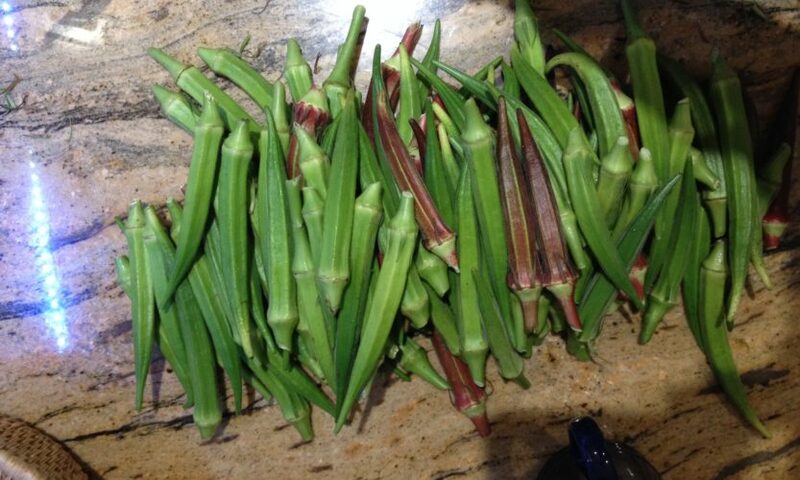 Summertime in Miami, if you’re an avid gardener, means dusting off the variety of okra recipes collected over the years and making some choices. 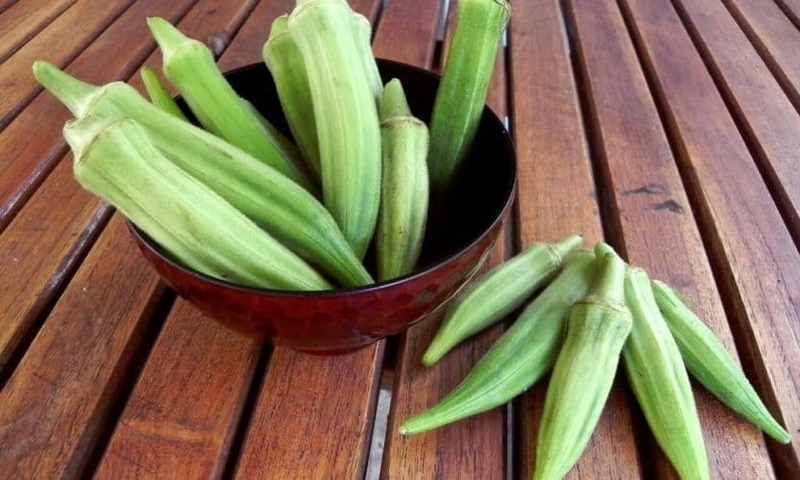 This okra stew recipe has always been my go-to favorite, my “okra comfort food,” if you will. It is simple to make, delicious, and slime-free. 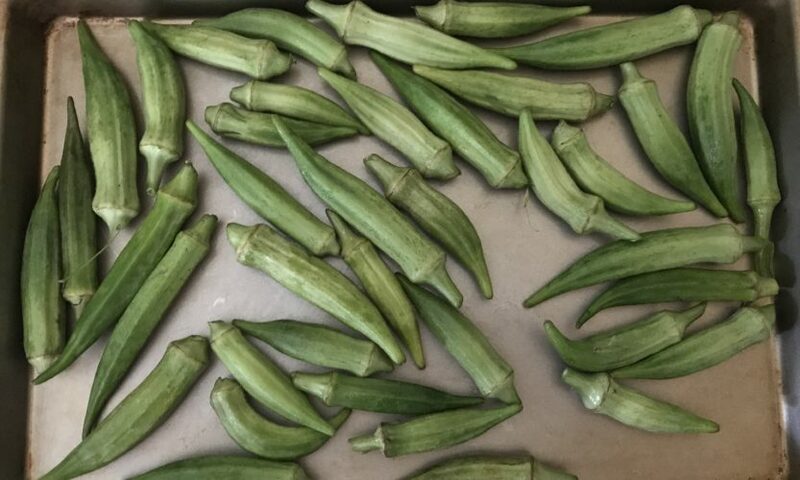 Okra seems to be one of those things that you love or hate, and to my surprise, there are many haters out there – “It’s too sliiimmmyyy” is the usual complaint. 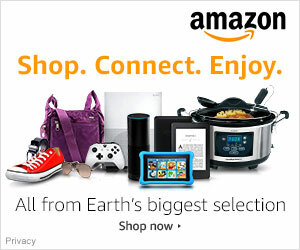 Well, I say – “You have to know how to cook it” – ’cause I don’t like slime either, but I do like okra.